This was the second time I did not celebrate our New Year with my family. However, I remembered everything on that day and I was so nostalgic that I had to miss them all. We do special things like making milk rice and we prepare various sweets and share with friends and relations during the Tamil Sinhala New year. Moreover, the fun games which we play are the most important part of the New Year day. In a public ground, we all get to gather and decorate the place colorfully. Then, we share sweets and eventually games will be started by the eldest person of our group. 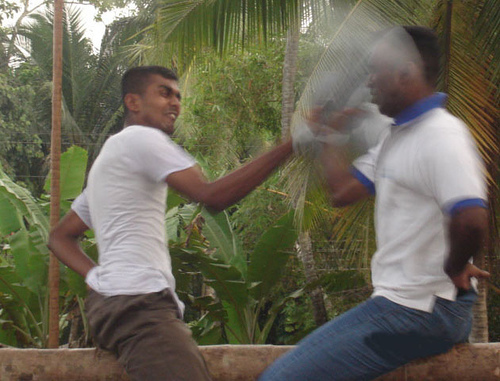 We usually play “Kotta pora”, a game, which two people sit in a bamboo stick by keeping a hand behind themselves and hitting each other by pillow until one person of them falls down. Further, there will be another game called “Kana mutty” which we have to break a pot which is filled with blue water by a stick which is kept in a certain height. Whoever breaks the pot will be the winner of the day. This is when the milk rice is boiling. The sweets which we make. Even though I missed all these cheerfulness I celebrated New Year in Access Academy twice as Tamils and Sinhalese have different time when the New Year starts. The Tamil one was at around at midnight we celebrated and the Sinhalese one was celebrated in the early morning. I gladly made my day going temples and enjoying with friends. 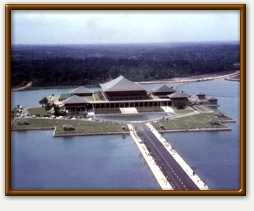 In Sinhala Suba Aluth Awrudhak Weva!!! And in Tamil Puththandu Vazhthukkal!!! 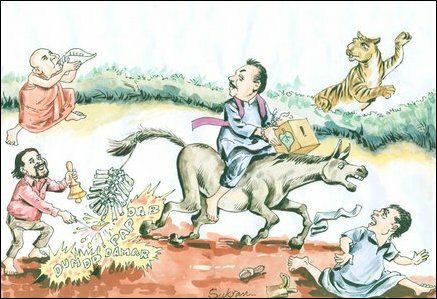 On 14th April all the Sri Lankans, the Bangladeshis, the Nepalese and the Indians celebrated New Year. 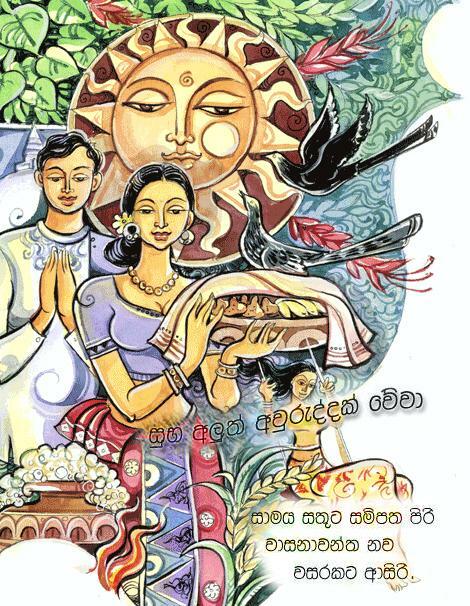 In Sri Lanka we call it the ‘Hindu and Sinhala New Year’ where everyone in Sri Lanka celebrates it so grandly. For some the preparation starts a month before by panting the house, cleaning and decorating it. They also buy new clothes to wear on the first day of the year and by gifts for the children and relatives as they go visit their relations. The most important part of the celebration is the rituals which they follow according to a particular time. But first I would like to say that these differ according to the Sinhalese and Hindus. 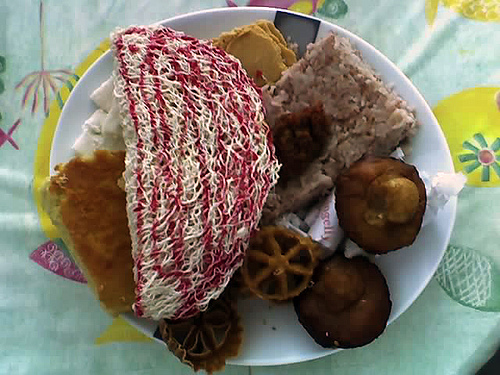 The Sinhalese have a short period of time before the doran of the New Year which they call it ‘Nonergathaya’. This time the people do anything good but to pray to their gods. And then when the correct time comes, the people start with the arrival of the New Year by making milk rise. The same thing happens with the Hindu people but only the time differs. Well many can say that I write mostly about the issues in Sri Lanka but avoid the part of writing solutions. However, I try my best to write and today I would like to quote one solution which the whole world should do to make this solution happen. This week in class i saw a documentary on the affects of the system which is used to make goods and dispose it. The name of the documentary is “ Story of Stuff” by Annie Leonard. It is based on the consuming of United Stat. Annie says that our system of making and disposing has a lot of crisis and that we can change this system to make the affects in a save way that the people want waste resources or people. This is online at this website. Check it up. http://video.google.com/videoplay?docid=7496487490135901757 but after seeing don’t forget it. Cause many do this. I write this in my post cause, I agree with Annie and I like to help her by showing this to my readers who haven’t seen it yet. This also need everyone to come together to build this system correct as it in involves all the countries. So hope you will work to spread this news among your community to rebuild a correct system. Dear Friends, this is the WORLD we are living in. Recently I got to know the story about Ishara, a Sri Lankan who survived during the Tsunami in 2004. She owned a musical band, but was still a schoolgoing student. She was famous for singing in many festivals, occasions and especially in weddings. December 26th, was a tragedy for her, as her shop went under water taking all the instruments and many other valuable things. Also one of her members had broken his leg when he was trying to save people from this disaster. Unfortunately, the same day she had to perform in a wedding in the upcountry. Ishara tried her best to explain the situation to them but they wouldn’t listen as they were in the mind of having the wedding grandly. She couldn’t refuse them also as she had taken the advance beforehand, therefore she had to find all the instruments and booked a van as her van also went into the sea. Lastly, she said that they were surprised to see the grand party which was going on when thousands and thousands of people were dying in the coastal area. So dear friends, what you will do if you were in that situation? In my case, I will be very surprised too and more than that I would have been totally against that party. I thought that everyone in the country was watching and helping the people who needed help but to see…… there were people who were celebrating and enjoying too. We say that humans are sensitive when it comes to human situations. But what happen here. It was the opposite and I feel bad that some even didn’t care for it. 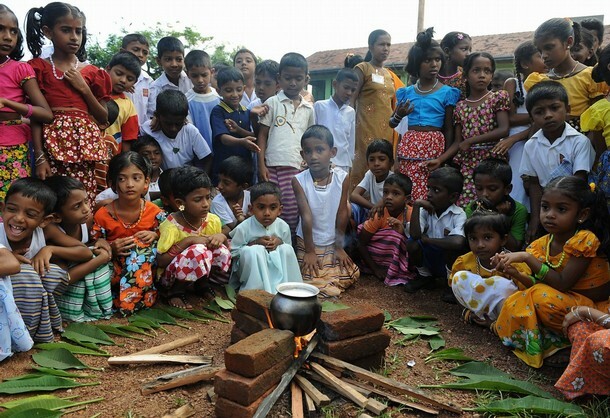 Will SL accept ‘ONE CHILD policy’?? Late week, I visited Dubai as I had to participate in an international conference named Education Without Borders 2009. I had mentioned this before as I uploaded my documentary about Microfinance. However, in the conference I met many interesting people who shared about various issues, questions, suggestions and solutions. These conversations had continued for 3 days and nights. Even in the bus we shared different ideas. One such topic which was brought up was ONE CHILD policy in CHINA. Well according to my opinion, Sri Lankans won’t accept it. Why? Because the people still have a strong belief to have more than one child, maybe not a lot but a few. The cultures, the religions and the trend to have children will be the reasons for this case. But when I researched about the birth and death rate of SL, I found out an interesting fact that Sri Lankan’s birth rate is over taking the death rate which is around 11%. Seeing this, one can infer that SL has a problem in growing population as we don’t have much land and resources. But to make one child policy comes true just to balance the birth and death rate Sri Lankans will not accept the policy. This is what I think….. what do you think about it??? What happened to the money, then??? I kindly request you to read the “Pockets full of money” post first, as I explain how this question comes…. The best explanation to answer ‘What happend to the money? 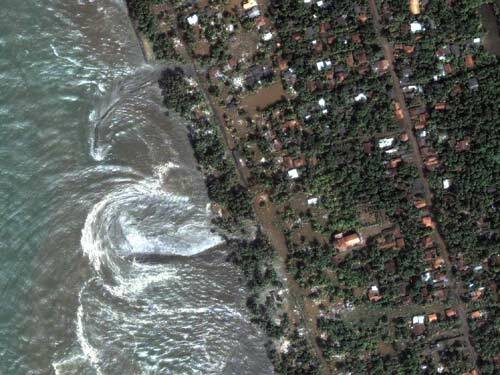 ?’ is to give an example and I would like to bring up the tsunami aid. We know that in 2004, there was a humongous disaster which killed tens of thousands of people in South and East Asia. Sri Lanka was one of them and I am totally grateful to all the people, originations and countries that supported us and the surrounding countries. We were having much aid that we thought and the government had many plans to rebuild our nations. They were talking about building express railways, high ways roads, having new technology for all the fishing industries and many more. However, nothing like that happened but the damages were restored. So…… what happened to all those money which came to the country in bucks? What happened to all those plans which the government had??? Where did they all go??? No one knows where… this is the main cause for the people to think that the minister who heddle the money take it and use it for them. The media announces what the minister got to say, but who knows either they are accurate or not? Can we totally believe what they say or depend on what they say??? NOOooo…. You don’t want the public to get hot as they can make a big din out of it!!! Therefore, the ministers or the people who are in-charge get all the blames and accuse for it. To be honest with all my readers, sometimes I also think that it is true that they cheat the public because the comfort they enjoy is unacceptable. This is something we should think, either we are doing the correct thing or not!!! Read the next post which is “What happened to the money, then?? ?” to get more the answer…. It was a holiday when my friend (a foreigner) and I were talking about our countries and were jumping topic after topic just to pass time. All of a sudden she said that when she was small, she thought that TIGERS which are known to be LTTE are real tigers who attract people from the forest. At first, I was shocked but then I asked her “Why did you think like that?” she went on the explain that she used to watch news daily at home and when it comes to Sri Lankan news, she hear them tell always that the public is been attracted by TIGERS and that the Amy is action against it. So she believed that Sri Lanka had many tigers. Also my friend had a hearty laugh and said that she made plans how to devastate these animals. To be honest with all of you, I too once thought that TIGERS were animals who killed thousands of people in the north. This was when I was in grade 1 or may be 2. Still a little girl!!! Well, I near see the news at TV but I use to see all the pictures and specially the cartoons in the news papers which my father bring every day. Here you get the topics in bold letters and funny pictures of our presidents and ministers along with pictures of tigers like the below one. So of cause, I thought that tigers were a problem to our country. I was sham when I got to know the real fact; as a result I kept this as a secret until that day when I had to agree with my friend. Later that day I wounded why we thought like that and I also told me roommate, who explained to me that the LTTE’s flag has a Tiger which represented all the Tamils Eelam. That time only I knew that the LTTE has also a flag to show how important independence is for them. 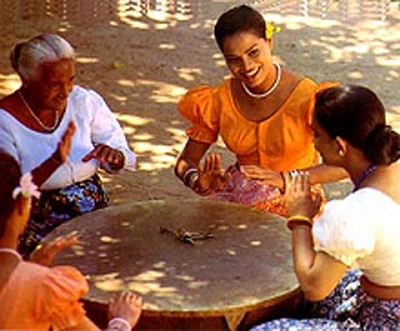 However, we should all think twice before we split our Lanka which has been our mother to us for a long time. This is not a joke. Why blaming the Government all the time??? When I was a little girl I always thought that presidents of the countries are great people as they have all the power and the time to even think about the country, their lives and family. However, when I realized the things which the president was doing, my first impression was that everyone was jealous that the president as he happened to have all the powers. This is because; my parents and neighbors get together and talk how the country’s situation and was criticizing them. ‘Them’ means not only the president but also the ministers and the whole government. Well, if you say like all the people who were having the money and the power it would be correct. When schooling also I saw that teachers and the principal were blaming the government that they didn’t have sufficient money, school was not getting all benefits they should, the study schedule was taking time, so on and so forth. So of cause it is true for a child who is having a positive thought to think something like this… But unfortunately, I was also in that group very soon. I started to realize and see the things which the politicians and its government did. I want directly say what they’re doing is wrong but I will say that they forgot all the people and the promises when they got elected. This is the main reason which I see why everyone is blaming the government. And this has to change. If a promise is given it should be done or they shouldn’t give any felt promises. It completely ruins the character of theirs and the trust which the public keeps on them. So definitely, the government has to accept all the shouting and rates which the public does again them…. As I have mention in the ‘Standing alone- part 1’ post that I will show my documentary, here it is… Though it is in two parts, it is one whole program. I hope you will take the interest to introduce this concept to help your countries too. crystalfe on Why is Colombo Gravitated? kumar on Why is Colombo Gravitated? emilio ferreira on Why is Colombo Gravitated? jaypatel on What happened to the money, then??? Berkay on Why is Colombo Gravitated?